Plastic Cloud is an extension to Team Edition. 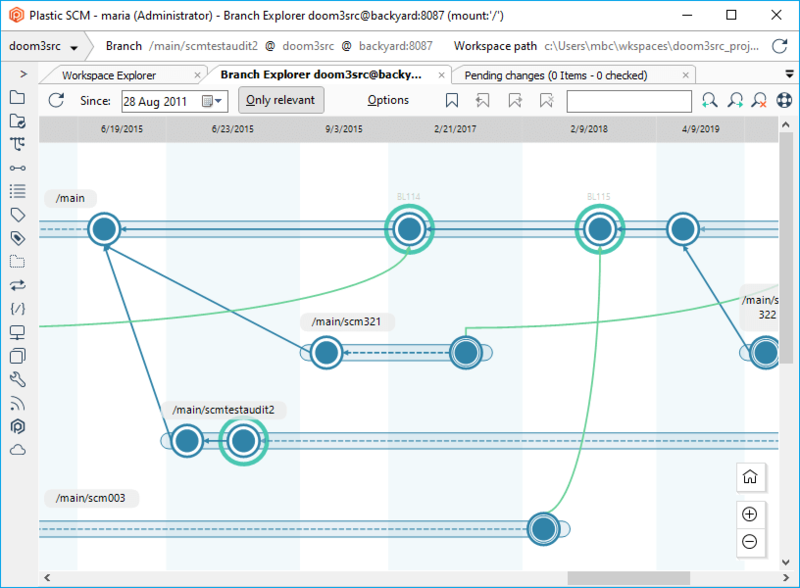 It is the perfect way to synchronize multiple teams running Plastic SCM servers on-premise. Plastic can encrypt files before uploading to the Cloud for total security. You are the only owner of the keys. 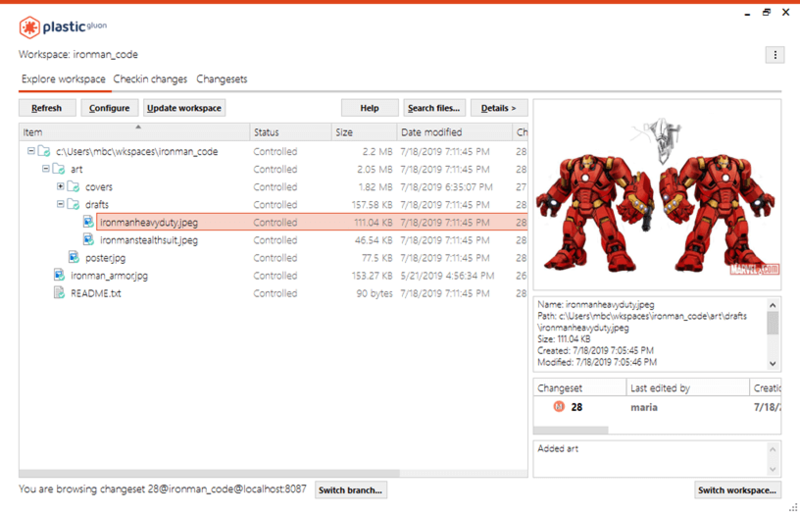 You can host gigabytes of data in your Plastic Cloud repositories without issues. What can you do with Plastic Cloud? 2 GB is not the limit here. Plastic supports big files and huge repo sizes by design. Plastic Cloud starts with 15GB and grows as you need. 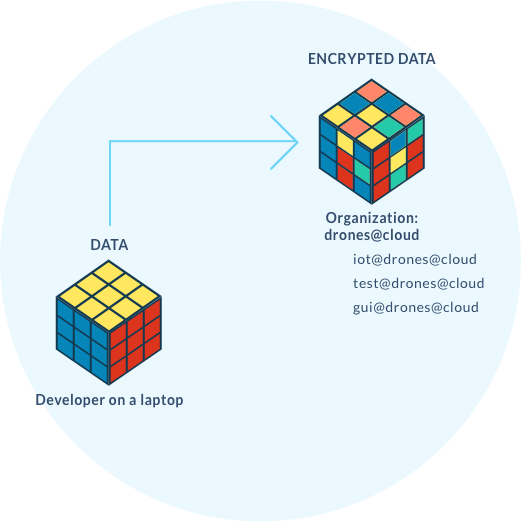 How do you encrypt all the data that goes to the cloud? You’ll set up a cryptedservers.conf file on your server (your team server or just your laptops). Each time you have to upload data to the cloud it will be encrypted on your server. Each time you download from the cloud, it will be decrypted on your server. This way even in the event of someone breaking into our cloud servers, your data will be secure since you’ll be the only one with the key to decrypt it. 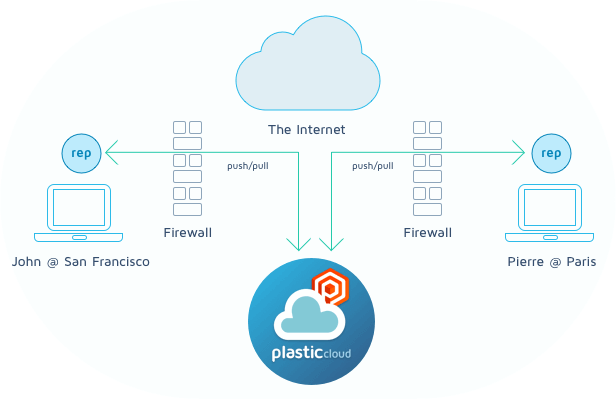 What do you need to use Plastic Cloud? 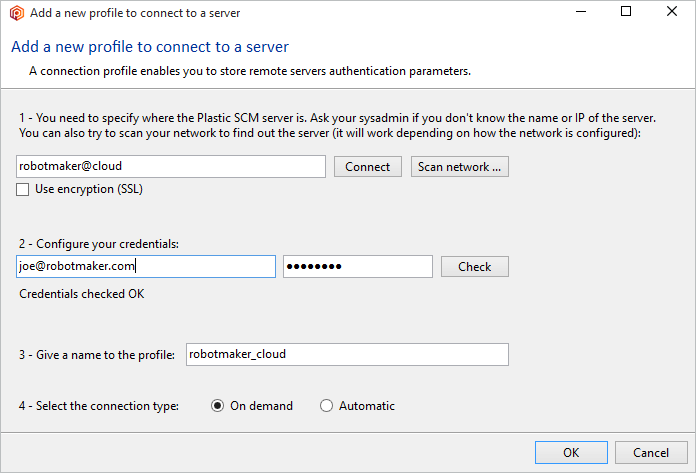 Besides a Plastic Cloud subscription (which includes the cloud server plus storage) you need a valid Plastic SCM license to use Plastic Cloud. This is because you need the actual client tools (GUIs, integrations with IDEs, merge, and so on) which come with Team, Enterprise, Personal or Community Editions. Find more details in the FAQ. A valid license of Plastic SCM – Team/Enterprise/Personal or Community Edition. Plastic SCM licenses for each of them. It can be a Team Edition for business teams or a Community Edition for eligible open source and non-profit organizations. Plastic SCM servers running on the laptops (a simple SQLite backed Plastic server will do). Organizations with distributed teams and on-premise Plastic SCM servers. The members of each team directly checkin or push/pull to their own team server. 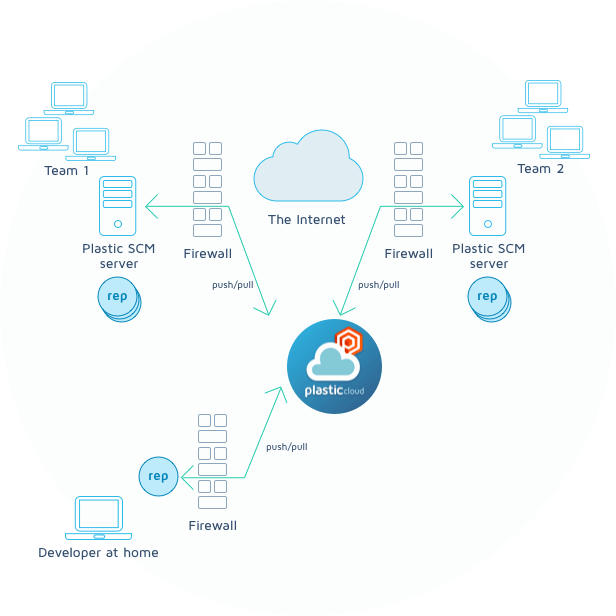 Then team servers are synchronized using Plastic Cloud as rendezvous point, instead of requiring one of the servers to be accessible through the internet. 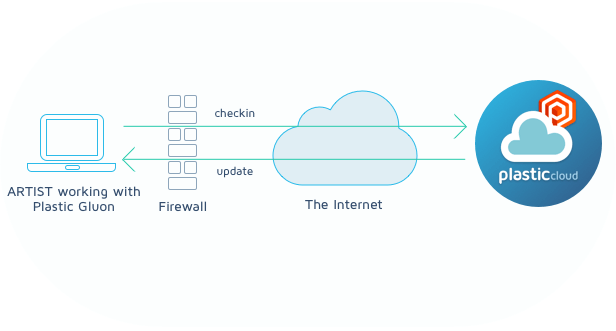 Team members use all the possible combinations: direct checkin to their local or distributed server, or distributed development with push/pull. There can be distributed developers working from home, doing push/pull or direct checkin and merge to the cloud. 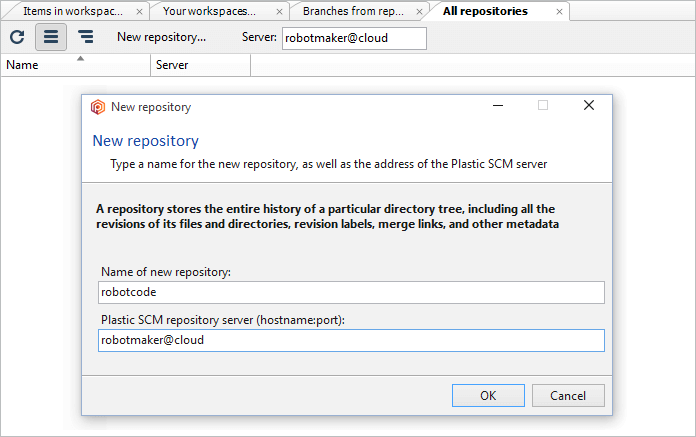 Plastic SCM licenses for the entire team (it can be Team or Enterprise Editions for commercial teams and Community Edition for eligible open source and non-profit organizations). Plastic SCM servers running on the team servers. Plastic SCM server running on the distributed developer laptop (a simple SQLite backed Plastic server will do). How do you use the plastic cloud server? Using the Plastic Cloud server is just like using a regular Plastic server. The only extra step is that we added an extra layer on it: organizations. An organization is a way to group repositories for a given team or company. Request an “organization” - a new organization will be created and you’ll be given access to it using your plasticscm.com account. Note: The organization creation will be handled by the Plastic team, but the goal is to let users create their own organizations. Login and invite team members: login to cloud.plasticscm.com, access your organization and invite other team members. 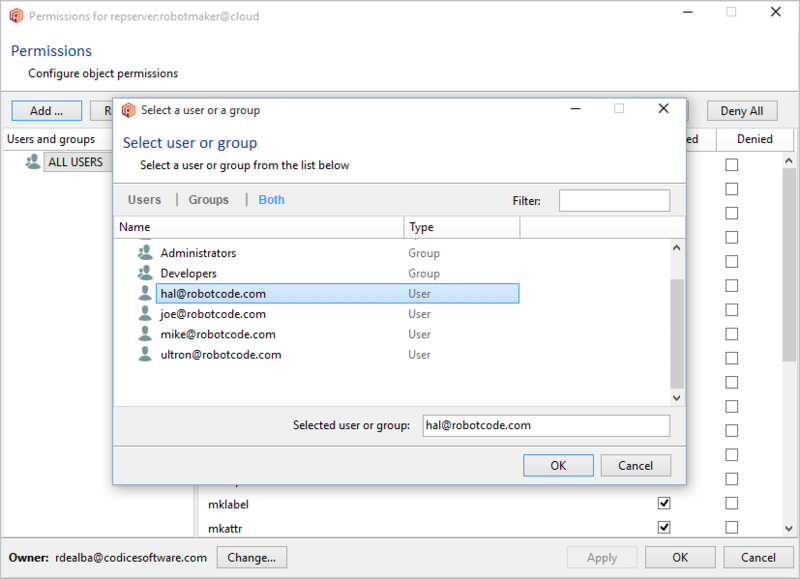 Please note that we’re using robotmaker@cloud as the server name, where robotmaker is your organization name. This is actually the only change to keep in mind while using the cloud server. Normally you use servers like myserver:8087, but in the cloud you use <org_name>@cloud, no need to specify the address or the port. 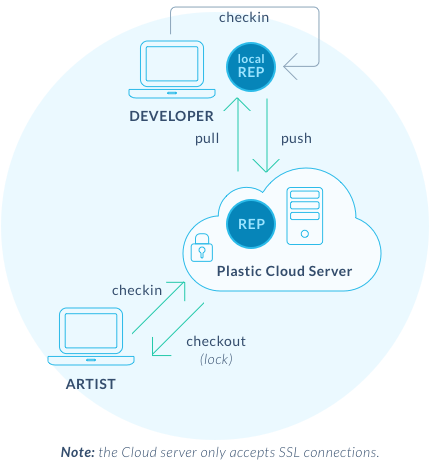 Create a repository as you would do with your regular Plastic server but... in the cloud! Just use it as a regular server: push, pull, configure permissions and so on.